Hi, Rachelle the farm girl here to show you how I used the Five-Petal Crochet Flower Pattern to create a darling set of patriotic hair clips. You can see how the petals form as you repeat Round 3.
smaller than you used for the larger flower. Now create 2 more flowers for the layering effect. Use the size C hook for your smallest flower. 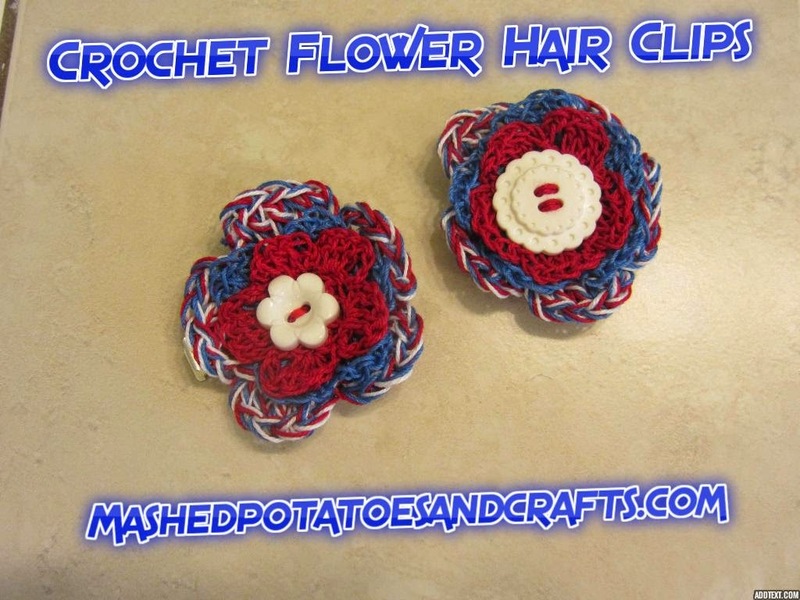 Take all 3 strands of Red, White, and Blue crochet thread and tie them in a slip knot. 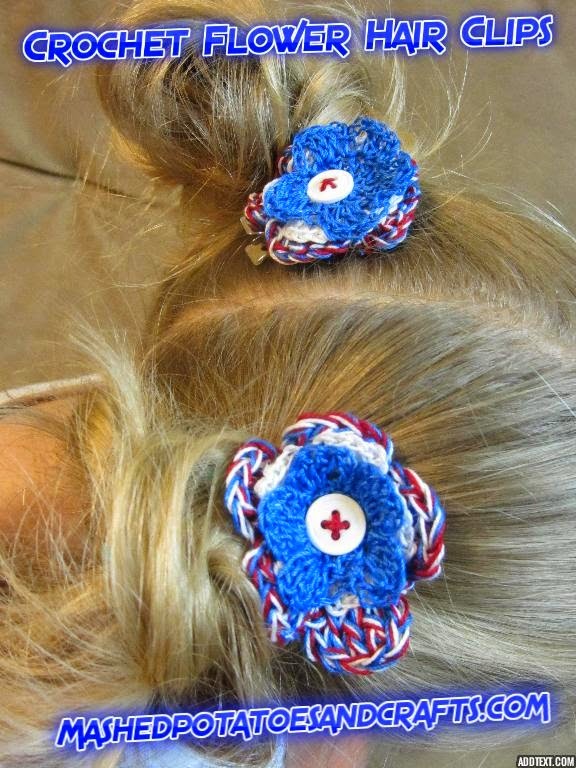 Crochet the flower with the 3 strands together to make your multi-colored base flower. 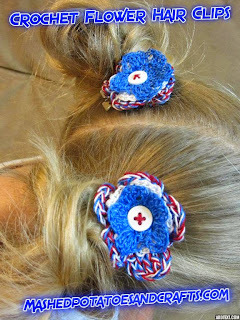 Once you've crocheted your 3 flowers, layer them one on top of the other and place a button on the top. Use a tapestry needle or other dull point needle to sew your button on through the 3 layered flowers. Cut a circle of white felt and attach your metal hair clip to the underside of the flowers with hot glue. Repeat this process to make a matching set. 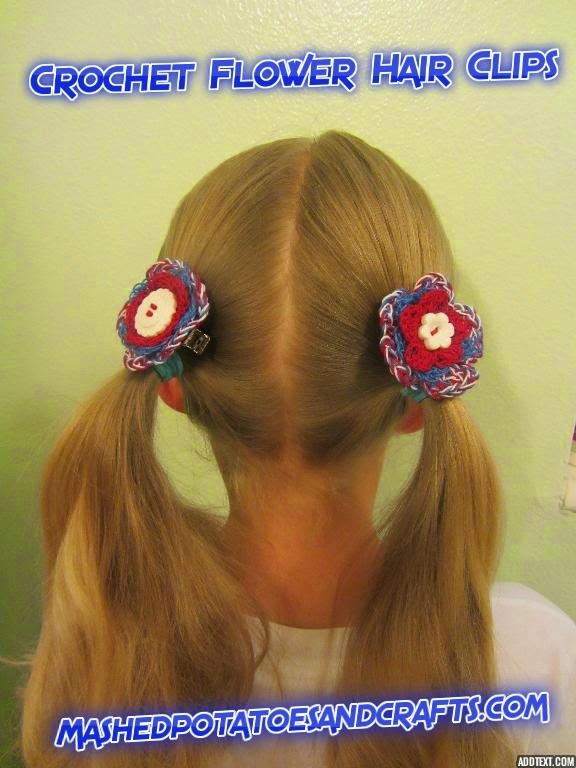 You can see in the photo that I changed up the layer for a second set of hair clips so both of my girls can wear their favorite messy buns in style! These flowers would work well on a T-shirt, bag, or table runner. 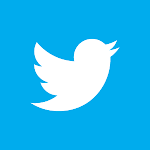 Use your imagination and enjoy! crochet thread and a size 6, 7, or 8 hook. 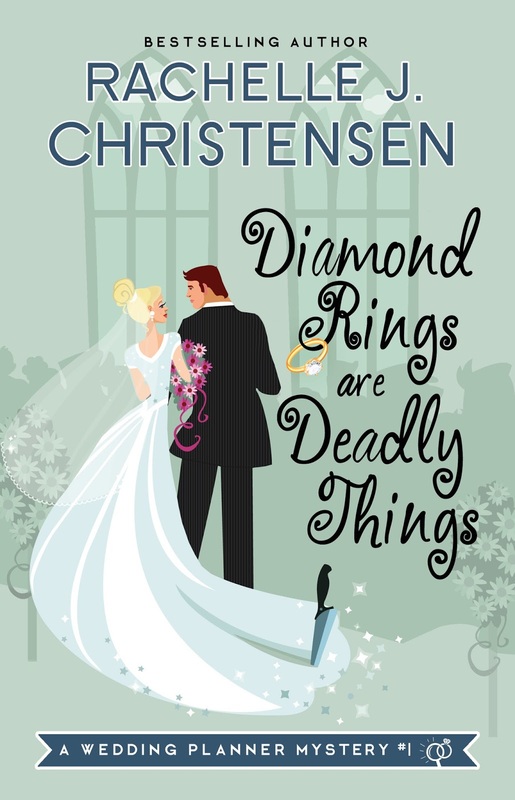 If you liked this project, you might be interested in more projects from my novel about a wedding planner who runs her own craft blog and solves mysteries! 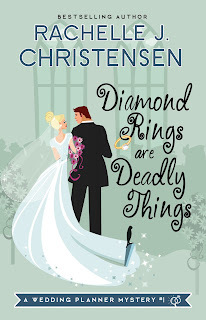 Learn more about Diamond Rings Are Deadly Things and all of the chapter tutorials here. The handmade candles were a hit with my kids and everyone loves the special touch of this rose-petal covered journal.